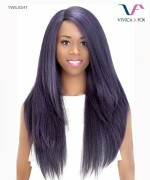 Minimum quantity for "Motown Tress H-6631 - Human Hair Motown Full Wig" is 1. Motown Tress H-6631 - Human Hair Motown Full Wig Long Straight Style H-6631 Motown Full Wig - Supreme human hair showgirl with center skin part is made with the highest grade human hair. Addition of fine silky yaki texture to the hair makes it very natural and carefree handling. Long Straight Style H-6631 Motown Full Wig - Supreme human hair showgirl with center skin part is made with the highest grade human hair. 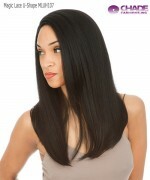 Addition of fine silky yaki texture to the hair makes it very natural and carefree handling.